So you have a few years of teaching under your belt, and you are ready to go back to school for your master’s and lean into learning the craft of teaching. You, my friend, are a prime candidate for an online master’s degree in curriculum and instruction. With this degree, you can specialize in elementary education or second language learners, among others. You can also use this degree as a springboard from classroom teacher to teacher-trainer. 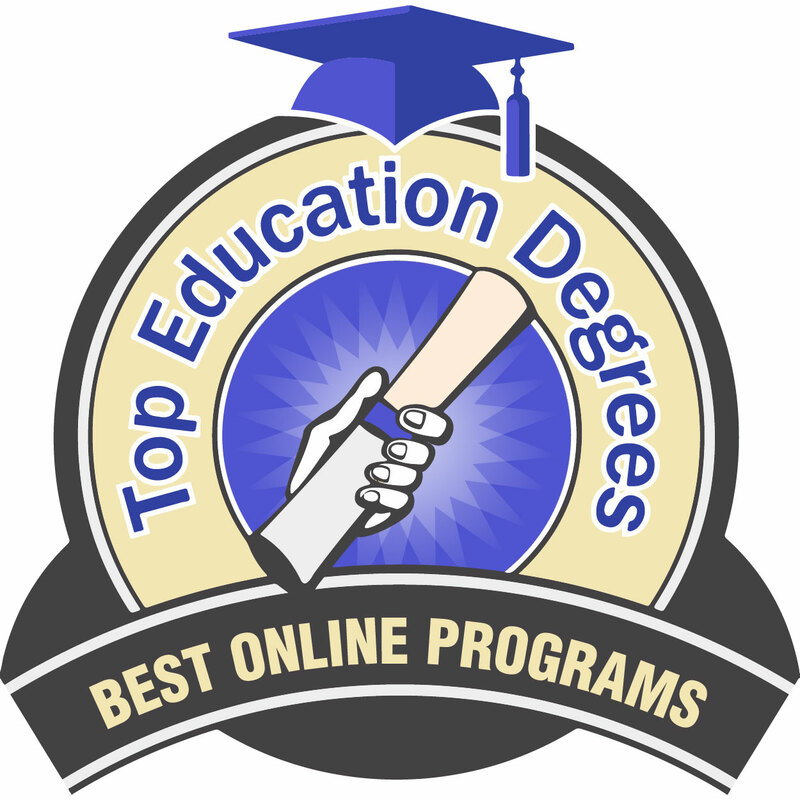 This list of the top 50 best online master’s in curriculum and instruction is meant to help you find the program right for your interests and budget. Schools on this list were ranked according to this scheme. 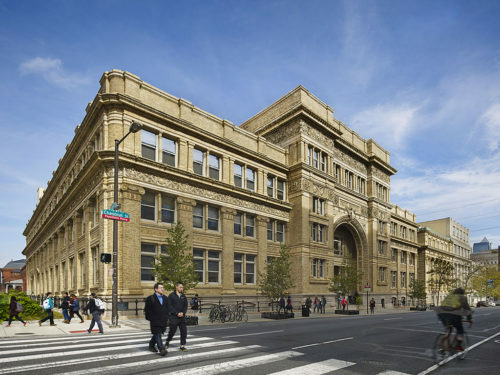 Drexel University offers a strong reputation as an academic powerhouse and access to their powerful network of alumni. With a student to faculty ratio of 10 to 1, their online master’s of science in teaching, learning, and curriculum is a 45 quarter credit hour program that offers six concentrations: educational administration, global and international education, higher education, instructional technology, reading specialist certification, and a customized concentration. Drexel University charges an online graduate tuition rate of $921 per credit hour for this program. They are accredited by the Middle States Commission on Higher Education. The University of Cincinnati was founded in 1819, and their mascot is the Bearcat. With a student to faculty ratio of 17 to 1, their online master’s of education in curriculum and instruction is a four-semester program that offers four concentrations: middle childhood education, secondary education, teaching, and learning: general studies, and medical education. 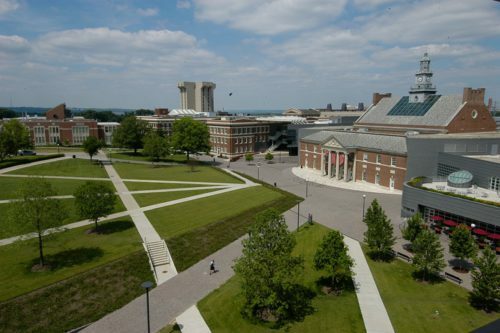 The University of Cincinnati charges a flat, full time, graduate, nonresident tuition rate of $13,105 per term. They are accredited by the Higher Learning Commission of the North Central Association of Schools and Colleges. Ranked #22 in US News and World Report’s Online graduate education listings for 2017, Indiana University-Bloomington was founded in 1820. With a student to faculty ratio of 17 to 1, their online master’s in educational leadership is a 36 credit hour program including coursework in instruction in the context of curriculum and school community relations. 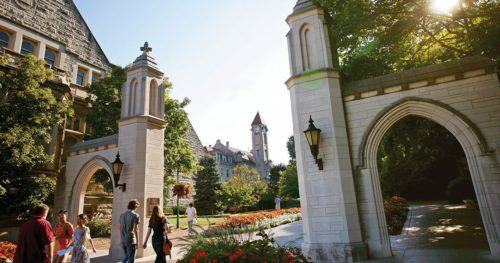 Indiana University-Bloomington charges an out of state, graduate tuition rate of $1,255.20 per credit hour. They are accredited by the Higher Learning Commission of the North Central Association of Schools and Colleges. Virginia Tech’s motto is Ut Prosim, meaning, “That I may serve.” With a student to faculty ratio of 14 to 1, their online master’s of arts in education, curriculum, and instruction with a focus on instructional technology is a 30 credit hour program including coursework in software evaluation and digital literacy. 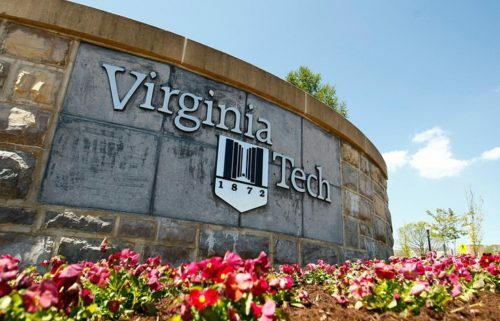 Virginia Tech charges an online, nonresident, graduate tuition rate of $1,550.50 per credit hour. They are accredited by the Southern Association of Colleges and Schools, Commission on Colleges. Wright State University was founded in 1964 when two branch universities merged. With a student to faculty ratio of 17 to 1, their online master’s of education in educational leadership – teacher leader: curriculum and instruction is a 30 credit hour program including coursework in school law and student assessment. Wright State University charges an online nonresident graduate tuition rate of $1,091 per credit hour. They are accredited by the Higher Learning Commission of the North Central Association of Schools and Colleges. The University of Colorado at Denver’s mascot is Milo the lynx. With a student to faculty ratio of 15 to 1, their online master’s of arts in curriculum and instruction is a 30 credit hour program including coursework in literacy assessment and culturally relevant teaching practices. The University of Colorado at Denver charges an out of state graduate online tuition rate of $448 per credit hour. They are accredited by the Higher Learning Commission of the North Central Association of Schools and Colleges. Chartered in 1844, the University of Mississippi has been admitting women since 1882 and has worked to promote inclusiveness since 1962. With a student to faculty ratio of 18 to 1, their online master’s of arts in teaching is a 36 credit hour program including coursework in curriculum construction and content area literacy. The University of Mississippi charges an online graduate tuition rate of $465 per credit hour. They are accredited by the Southern Association of Colleges and Schools, Commission on Colleges. The University of Louisiana at Lafayette is a smart, spirited institution that seeks solutions. With a student to faculty ratio of 22 to 1, their online master’s of education, curriculum, and instruction, instructional specialist concentration is a 36 credit hour program including coursework in educating the exceptional child and current issues in education. 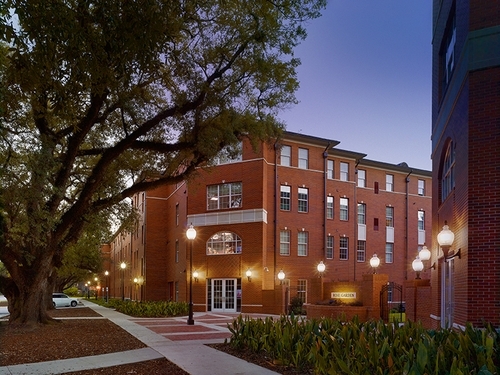 The University of Louisiana at Lafayette charges an out of state, graduate tuition rate of $12,180 per 12 credit hours. They are accredited by the Southern Association of Colleges and Schools, Commission on Colleges. Portland State University has a reputation as an innovative school and is considered an up and coming institution on many national rankings. With a student to faculty ratio of 19 to 1, their online master’s in curriculum and instruction is a 45 quarter credit hour program including coursework in issues in education and theory of instruction. 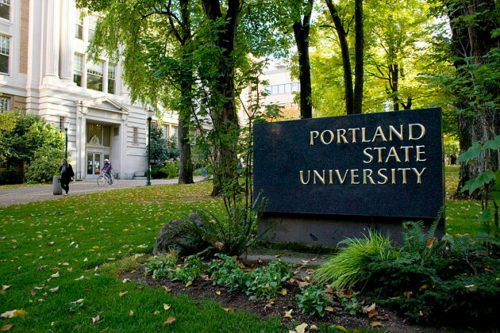 Portland State University charges a non-resident, graduate tuition and fee rate of $1,575 per credit hour. 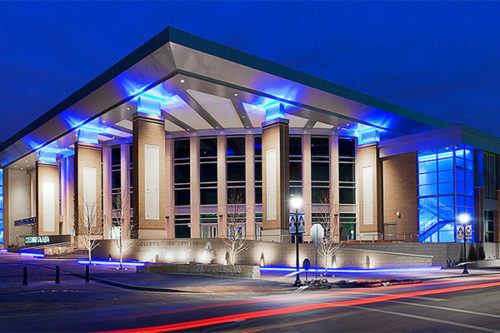 They are accredited by the Northwest Commission on Colleges and Universities. The University of Colorado, Colorado Springs’ mascot is Boomer, the mountain lion. With a student to faculty ratio of 17 to 1, their online master’s in curriculum and instruction is a 30 credit hour program including coursework in the introduction to research and statistics and issues, strategies, and models in curriculum design. The University of Colorado, Colorado Springs charges an online nonresident graduate tuition rate of $665 per credit hour for this program. They are accredited by the Higher Learning Commission of the North Central Association of Schools and Colleges. California State University Fullerton is an in-demand institution whose mascot is a woolly mammoth. With a student to faculty ratio of 25 to 1, their online master’s of education in elementary curriculum and instruction: 21st century and learning focus is a 30 credit hour program including coursework in curriculum theory and development and culture and education of Latino students. 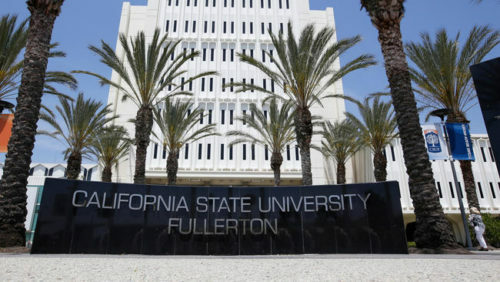 California State University Fullerton charges an out of state graduate full-time tuition rate of $4143.79 for 7+ credits and a non-resident charge of $396 per credit hour. They are accredited by the Western Association of Schools and Colleges, Senior College and University Commission. California State University Bakersfield is a growing comprehensive university that is committed to transforming lives. With a student to faculty ratio of 24 to 1, their online master’s of arts in education: curriculum and instruction is a 30 credit hour program including coursework in educational leadership and curriculum development and transformation. California State University Bakersfield offers a reading and literacy added authorization with this program. They are accredited by the Western Association of Schools and Colleges, Senior College and University Commission. Ranked #35 in US News and World Report’s Online graduate education listings for 2017, Robert Morris University was founded in 1921. With a student to faculty ratio of 15 to 1, their online master’s of science in instructional leadership is a 30 credit hour program that offers seven specializations: autism spectrum disorders, English education, mathematics education, science education, education, instructional technology and sport management. Robert Morris University offers an online graduate tuition of $865 per credit hour for this program. They are accredited by the Middle States Commission on Higher Education. Ranked #40 in US News and World Report’s Online graduate education listings for 2017, Emporia State University started as a teacher’s college in 1863 and today boasts outstanding and highly accredited academic programs in a variety of fields. With a student to faculty ratio of 18 to 1, their online master’s of science in curriculum and instruction is a 34 credit hour program including coursework in cultural awareness for educators and analysis of research. Emporia State University charges a non-resident graduate tuition rate of $788.50 per credit hour. They are accredited by the Higher Learning Commission of the North Central Association of Schools and Colleges. The University of Texas at El Paso’s mascot is Paydirt Pete, the miner. With a student to faculty ratio of 20 to 1, their online master’s of education in curriculum and instruction with a concentration in bilingual education is a 36 credit hour program including coursework in diversity in education settings and research for the classroom teacher. The University of Texas at El Paso charges an online graduate tuition rate of $450 per credit hour. They are accredited by the Southern Association of Colleges and Schools, Commission on Colleges. The University of North Carolina Wilmington was founded in 1947, and their mascot is the seahawk. With a student to faculty ratio of 18 to 1, their online master’s of education in curriculum, instruction, and supervision is a 36 credit hour program including coursework in curriculum theory and research in education. The University of North Carolina Wilmington charges an out of state, graduate, online tuition rate of $874.22 per credit hour. They are accredited by the Southern Association of Colleges and Schools, Commission on Colleges. 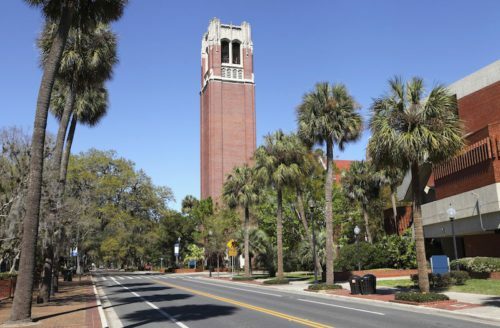 Ranked #1 in US News and World Report’s Online graduate education listings for 2017, the University of Florida is top notch and surprisingly affordable. With a student to faculty ratio of 49 to 1, their online master’s of education in curriculum and instruction with a specialization in educational technology is a 36 credit hour program including coursework in instructional design and managing educational projects. The University of Florida offers an online, graduate, non-resident tuition rate of $631.19 per credit hour. They are accredited by the Southern Association of Colleges and Schools, Commission on Colleges. Ranked #3 in US News and World Report’s Online graduate education listings for 2017, Florida State University wants to win you over with their commitment to quality, world-class faculty, and national reputation. With a student to faculty ratio of 24 to 1, their online master’s of science in curriculum and instruction is a 33 credit hour program including coursework in differentiating instruction and analyzing and refining teaching. Florida State University charges an online out of state graduate tuition rate of $1,075.66 per credit hour. They are accredited by the Southern Association of Colleges and Schools, Commission on Colleges. The University of Kansas is a major public research and teaching institution that was founded by abolitionists. With a student to faculty ratio of 17 to 1, their online master’s of science in education-curriculum and instruction is a 30 credit hour program including coursework in multicultural education and planning for school improvement. The University of Kansas offers an online graduate tuition rate of $575 per credit hour, regardless of residency. They are accredited by the Higher Learning Commission of the North Central Association of Schools and Colleges. The University of Louisiana Monroe offers an online graduate tuition rate of $500 per credit hour, regardless of residency. They are accredited by the Southern Association of Colleges and Schools, Commission on Colleges. 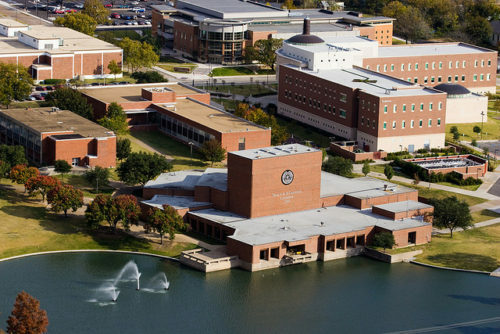 The University of Texas Arlington believes in research, teaching, and innovation. Their mascot is the maverick. With a student to faculty ratio of 25 to 1, their online master’s of education, curriculum, and instruction is a 30 credit hour program that offers three specializations: literacy studies, mathematics education, and science education. The University of Texas Arlington offers an online graduate tuition rate of $273.33 per credit hour, regardless of residency. They are accredited by the Southern Association of Colleges and Schools, Commission on Colleges. Ranked #9 in US News and World Report’s Online graduate education listings for 2017, Penn State University works hard to develop and deliver the same high-quality academic programs that their traditional, on-campus students enjoy. With a student to faculty ratio of 16 to 1, their online master’s of education in curriculum and instruction is a 30 credit hour program offering five emphases: children’s literature, STEM education, elementary education, curriculum and supervision, and theory and practice in English, social studies, and world languages. 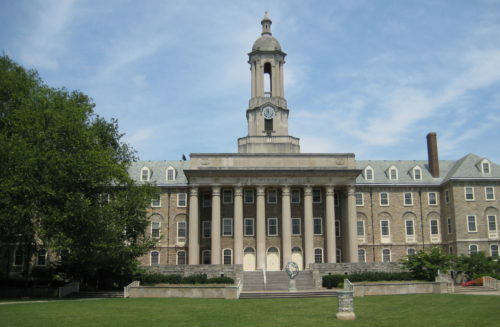 Penn State University offers an online graduate tuition rate of $853 per credit hour, regardless of residency. They are accredited by the Middle States Commission on Higher Education. Ranked #6 in US News and World Report’s Online graduate education listings for 2017, the University at Albany’s School of Education is a solid choice with a strong reputation. With a student to faculty ratio of 18 to 1, their online master’s of science in curriculum development and instructional technology is a 30 credit hour program including coursework in systematic design of instruction and educational computing. The University at Albany charges an online non-resident graduate tuition rate of $6,520 per semester. They are accredited by the Middle States Commission on Higher Education. Northwestern State University of Louisiana was founded in 1884, and their mascot is a demon. With a student to faculty ratio of 20 to 1, their online master’s of education in curriculum and instruction is a 36 credit hour program offering five specializations: English education, reading, professional teaching standards for the teacher leader, school librarian, and transition to teaching. Northwestern State University of Louisiana offers an online graduate tuition rate of $475 per credit hour, regardless of residency. They are accredited by the Southern Association of Colleges and Schools, Commission on Colleges. 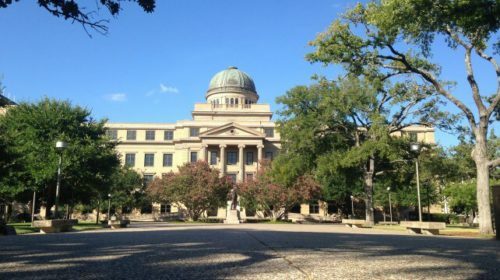 When Texas A&M University, College Station opened their doors in 1876, they were the first public institution of higher learning in Texas. With a student to faculty ratio of 21 to 1, their online master’s of education in curriculum and instruction with an emphasis in STEM is a 36 credit hour program including coursework in curriculum development and analysis of teaching behavior. Texas A&M University, College Station offers an online tuition rate of $225 per credit hour for this program, regardless of residency. They are accredited by the Southern Association of Colleges and Schools, Commission on Colleges. Ranked #22 in US News and World Report’s Online graduate education listings for 2017, Sam Houston State University offers more than forty 100% online degrees with credibility, flexibility, and possibility. With a student to faculty ratio of 21 to 1, their online master’s of education in curriculum and instruction is a 30 credit hour program including coursework in instructional coaching and research in teaching. Sam Houston State University charges an online nonresident, graduate tuition rate of $1,168.25 per credit hour. They are accredited by the Southern Association of Colleges and Schools, Commission on Colleges. Ranked #8 in US News and World Report’s Online graduate education listings for 2017, Michigan State University was the pioneer land-grant university in the nation. With a student to faculty ratio of 17 to 1, their online master’s in educational technology is a 21 credit hour program including coursework in approach to educational research and proseminar in educational technology. Michigan State University offers an online graduate tuition rate of $830 per credit hour, regardless of residency. They are accredited by the Higher Learning Commission of the North Central Association of Schools and Colleges. 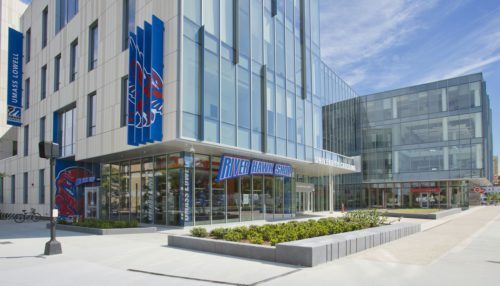 Ranked #16 in US News and World Report’s Online graduate education listings for 2017, UMass Lowell has one of the largest selections of online coursework in all of New England. 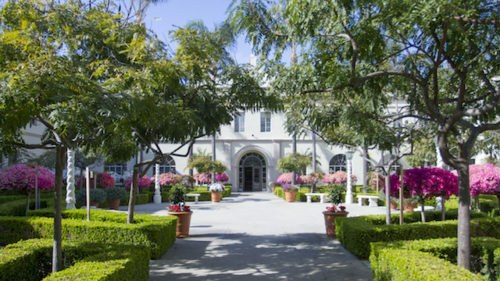 With a student to faculty ratio of 17 to 1, their online master’s in curriculum and instruction is a 30 credit hour program including coursework in educating diverse populations and curriculum design K-12. UMass Lowell offers a tuition rate of $470 per credit hour for this program, regardless of residency. They are accredited by the New England Association of Schools and Colleges, Commission on Institutions of Higher Education. Ranked #22 in US News and World Report’s Online graduate education listings for 2017, the University of San Diego is an engaged and modern Catholic university that creates problem solvers. With a student to faculty ratio of 14 to 1, their online master’s of education with a specialization in curriculum and instruction is a 30 credit hour program including coursework in teaching digital readers and teaching digital writers. The University of San Diego offers an online graduate tuition rate of $710 per credit hour. They are accredited by the Western Association of Schools and Colleges, Senior College and University Commission. 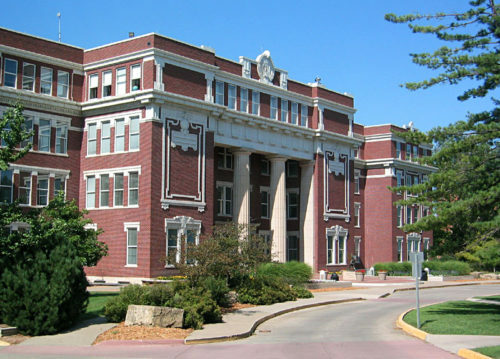 Kansas State University was the nation’s first operational land-grant university. With a student to faculty ratio of 18 to 1, their online master’s of science in curriculum and instruction is a minimum 31 credit hour program that offers six areas of study: educational technology, English as a second language, learning skills/school improvement, mathematics education, reading specialist, and teaching civics and government. 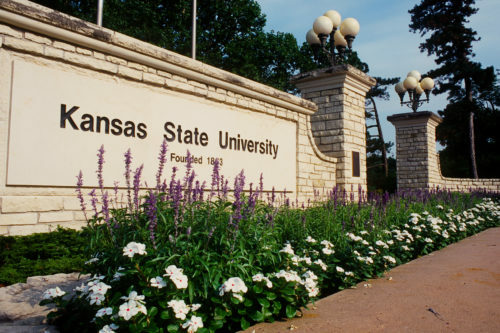 Kansas State University offers an online graduate tuition rate of $563.30 per credit hour, regardless of residency. They are accredited by the Higher Learning Commission of the North Central Association of Schools and Colleges. Ranked #16 in US News and World Report’s Online graduate education listings for 2017, Ball State University is a school with high research activity. With a student to faculty ratio of 14 to 1, their online master’s of arts in curriculum and educational technology is a 30 credit hour program including coursework in technology, policy, and pedagogy along with evaluation of educational programs. 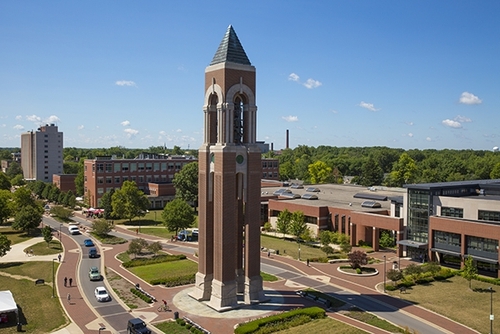 Ball State University charges a nonresident, graduate tuition rate of $602 per credit hour. They are accredited by the Higher Learning Commission of the North Central Association of Schools and Colleges. Ranked #4 in US News and World Report’s Online graduate education listings for 2017, the University of Nebraska-Lincoln has two mascots, Herbie Husker, the corn husker and Lil’ Red for smaller fans. With a student to faculty ratio of 21 to 1, their online master’s of arts in teaching, learning, and teacher education is a 36 credit hour program including coursework in curriculum inquiry and reading processes and practices. The University of Nebraska-Lincoln charges an online, graduate, nonresident tuition rate of $609 per credit hour. They are accredited by the Higher Learning Commission of the North Central Association of Schools and Colleges. Ranked #29 in US News and World Report’s Online graduate education listings for 2017. Central Michigan University was founded in 1892 and is committed to compassion and leadership. With a student to faculty ratio of 22 to 1, their online master’s of arts in education with a concentration in curriculum and instruction is a 33 credit hour program including coursework in advanced educational philosophy and current educational issues. Central Michigan University offers an online, graduate tuition rate of $575 per credit hour, regardless of residency. They are accredited by the Higher Learning Commission of the North Central Association of Schools and Colleges. 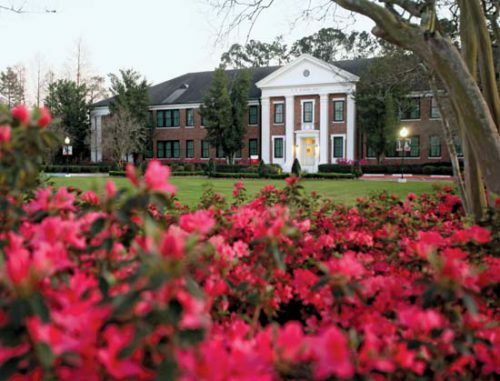 Nicholls State University first opened its doors in 1948. Their mascot is the Colonel. With a student to faculty ratio of 20 to 1, their online master’s of curriculum and instruction, reading specialist concentration is a 36 credit hour program including coursework in foundations of reading and education research. Nicholls State University offers an online graduate tuition rate of $412.13 per credit hour, regardless of residency. They are accredited by the Southern Association of Colleges and Schools, Commission on Colleges. 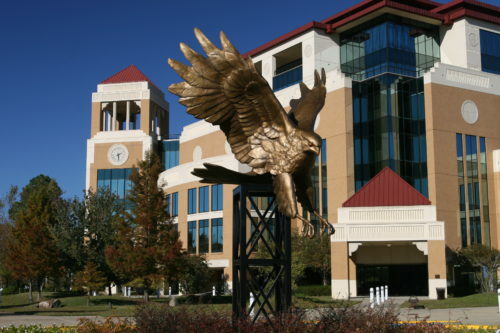 The University of Southern Mississippi was founded in 1910, and their mascot is Seymour d’Campus, the golden eagle. With a student to faculty ratio of 17 to 1, their online master’s of education in educational curriculum and instruction (elementary education) is a 30 credit hour program including coursework in curriculum in the elementary school and elementary mathematics methods. The University of Southern Mississippi offers an online graduate tuition rate of $446.12 per credit hour, regardless of residency. They are accredited by the Southern Association of Colleges and Schools, Commission on Colleges. 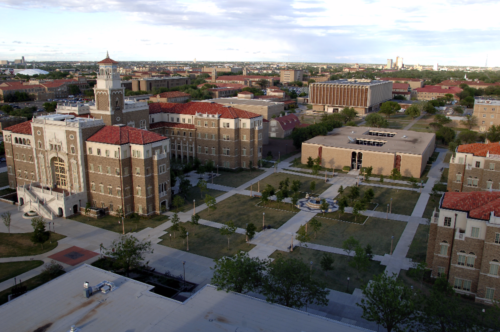 Texas Tech University was founded in 1923, and their mascot is the Red Raider. With a student to faculty ratio of 21 to 1, their online master’s of education in curriculum and instruction is a 36 credit hour program including coursework in creativity in the curriculum and ethics and education. Texas Tech University offers an online graduate tuition rate of $190 per credit hour, regardless of residency. They are accredited by the Southern Association of Colleges and Schools, Commission on Colleges. Western Governors University does things a little differently. Instead of taking so many hours per term, you complete and test out of “competency units.” However many of those you complete per term, that is equivalent to your course load for the term. With a student to faculty ratio of 41 to 1, their online master’s of science in curriculum and instruction is a 30 credit hour program including coursework in learning theories and instructional theory. 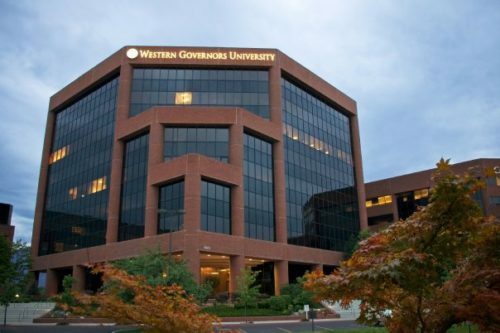 Western Governors University offers a full-time graduate rate of $2,890 per semester. They are accredited by the Northwest Commission on Colleges and Universities. South Dakota State University is the Mount Rushmore state’s largest institution of higher learning. With a student to faculty ratio of 17 to 1, their online master’s of education in curriculum and instruction is a 32-35 credit hour program that offers four specializations: early childhood education specialization, elementary education specialization, secondary education specialization, and adult and higher education specialization. South Dakota State University offers an online, graduate tuition rate of $444.25 per credit hour, regardless of residency. They are accredited by the Higher Learning Commission of the North Central Association of Schools and Colleges. Texas A&M University-Commerce was established in 1887 and is Texas’ 5th oldest institution of higher learning. With a student to faculty ratio of 21 to 1, their online master’s of education or master’s of science in curriculum and instruction is a 36 credit hour program that includes coursework in classroom management for teachers and diversity and equity in education. Texas A&M University-Commerce offers an online graduate tuition rate of $625 per credit hour regardless of residency. They are accredited by the Southern Association of Colleges and Schools, Commission on Colleges. Framingham State University celebrated its 175th anniversary in 2014. With a student to faculty ratio of 14 to 1, their online master’s of education (M.Ed.) with a concentration in curriculum and instructional technology is a 30 credit hour program including coursework in the philosophy of education and impact of technology on education. 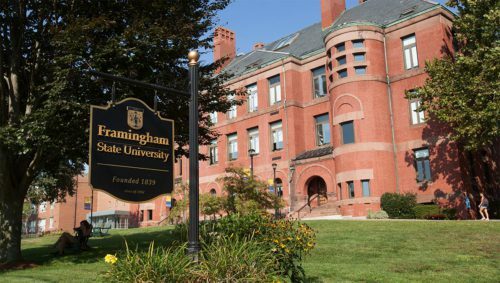 Framingham State University charges a graduate tuition rate of $1,220 per course. They are accredited by the New England Association of Schools and Colleges, Commission on Institutions of Higher Education. Ranked #29 by US News and World Report for online graduate education degrees in 2017, Western Kentucky University’s mascot is Big Red, the spirit of Western. With a student to faculty ratio of 18 to 1, their online master of science in instructional design is a 30 credit hour program including coursework in instructional design foundations and multimedia design. 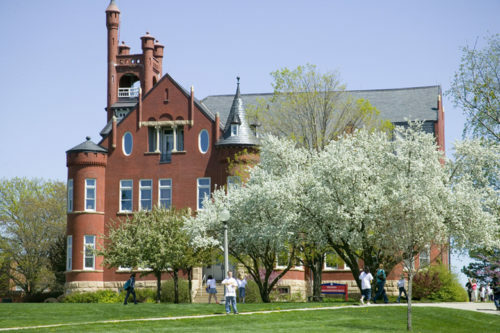 Western Kentucky University offers an online, graduate tuition rate of $707 per credit hour. They are accredited by the Southern Association of Colleges and Schools, Commission on Colleges. 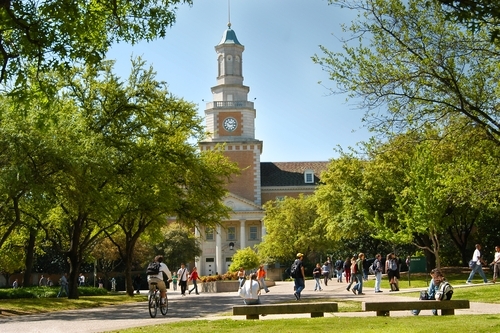 Ranked #16 in US News and World Report’s Online graduate education listings for 2017, the University of North Texas was established in 1890. With a student to faculty ratio of 26 to 1, their online master’s of education curriculum and instruction – specialization in bilingual education is a 30 credit hour program including coursework in schooling in a multicultural society and advances in teaching. The University of North Texas offers an online graduate nonresident tuition rate of $505.16 per credit hour. They are accredited by the Southern Association of Colleges and Schools, Commission on Colleges. 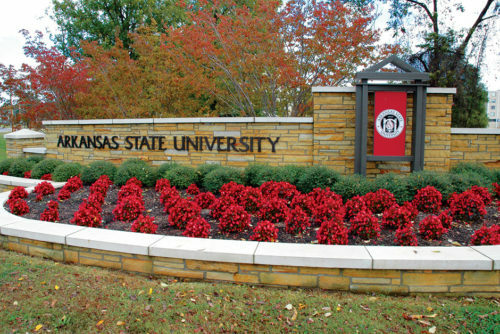 Arkansas State University was founded in 1909 as an agricultural institution of higher learning. With a student to faculty ratio of 18 to 1, their online master’s of science in education in curriculum and instruction is a 36 credit hour program including coursework in ethical leadership and school law. Arkansas State University offers an online graduate tuition rate of $294 per credit hour, regardless of residency. They are accredited by the Higher Learning Commission of the North Central Association of Schools and Colleges. Graceland University was founded in 1885 and is affiliated with the Community of Christ. With a student to faculty ratio of 18 to 1, their online advanced master’s of education in curriculum and instruction is a 30 credit hour program including coursework in best practices with technology and strategies for reading instruction. Graceland University offers an online graduate tuition rate of $485 per credit hour. They are accredited by the Higher Learning Commission of the North Central Association of Schools and Colleges. Peru State College was established in 1867 as a teacher’s college. With a student to faculty ratio of 22 to 1, their online master’s of science in education – curriculum and instruction is a 36 credit hour program that offers a certification in advanced studies. Peru State College offers an online graduate tuition rate of $348.75 per credit hour, regardless of residency. They are accredited by the Higher Learning Commission of the North Central Association of Schools and Colleges. LSU Shreveport upholds the clarion reputation of the Louisiana State University system at a fraction of the cost of other schools. With a student to faculty ratio of 22 to 1, their online master’s of education in curriculum and instruction is a 36 credit hour program including coursework in leading instruction and utilizing data for school improvement. LSU Shreveport offers an online graduate tuition rate of $307.49 per credit hour, regardless of residency. They are accredited by the Southern Association of Colleges and Schools, Commission on Colleges. 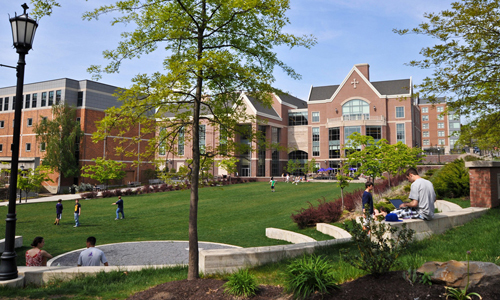 The University of Scranton is a Jesuit affiliated school, and their mascot is the Royals. With a student to faculty ratio of 12 to 1, their online master’s of science in curriculum and instruction is a 36 credit hour program including coursework in educational assessment and improving instruction. The University of Scranton offers an online graduate tuition rate of $510 per credit hour, regardless of residency. They are accredited by the Middle States Commission on Higher Education. Chadron State College combines the advantages of a small college with the affordability of a public institution of higher learning. With a student to faculty ratio of 19 to 1, their online master’s of education-curriculum and instruction is a 36-42 credit hour program that offers six specializations: elementary – general education, elementary field option (concentration in a subject area), secondary, special education – early childhood special education (birth-kindergarten), PK-12 reading specialist, and K-12 special education. Chadron State College offers an online graduate tuition rate of $348.75 per credit hour, regardless of residency. They are accredited by the Higher Learning Commission of the North Central Association of Schools and Colleges. 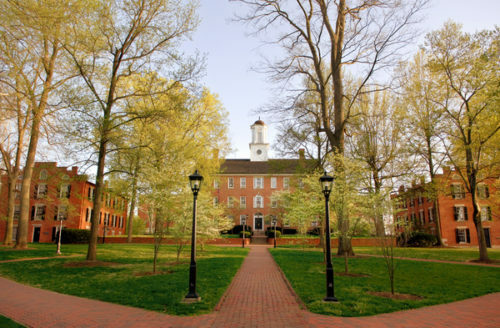 Ranked #10 in US News and World Report’s Online graduate education listings for 2017, Ohio University’s mascot is the bobcat. With a student to faculty ratio of 18 to 1, their online advanced master’s in curriculum and instruction is a 36 credit hour program including coursework in teaching for social justice and formative instructional practices. Ohio University offers an online, graduate tuition rate of $505 per credit hour for this program. They are accredited by the Higher Learning Commission of the North Central Association of Schools and Colleges. 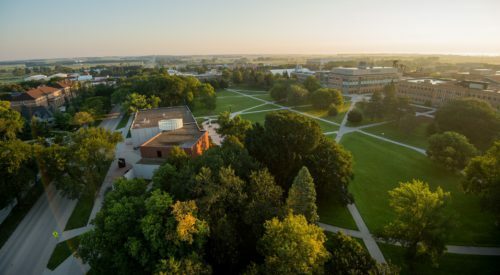 Ranked #35 in US News and World Report’s Online graduate education listings for 2017, the University of Nebraska-Kearney started as a teacher’s college in 1905. With a student to faculty ratio of 14 to 1, their online master’s is a credit hour program that offers eight specializations: early childhood education, elementary education, English as a second language, instructional effectiveness, reading/special education, secondary education, STEM, and transitional certification. 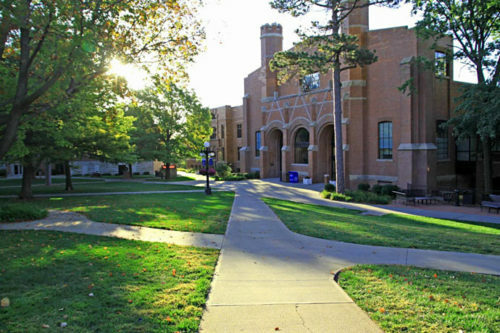 The University of Nebraska-Kearney offers an out of state, graduate tuition rate of $417.50 per credit hour. They are accredited by the Higher Learning Commission of the North Central Association of Schools and Colleges. 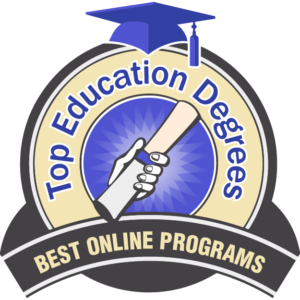 This concludes the list of the top 50 best online master’s degrees in curriculum and instruction.